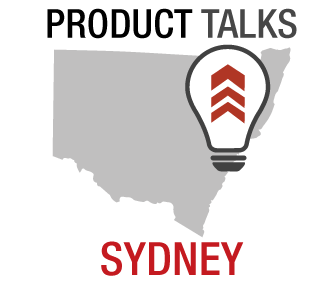 In the lead up to the “Leading the Product” conference , Sean Richards from Brainmates had the chance to sit down with Ben Ross, General Manager Design & User Experience at MYOB, for a quick chat on innovation. 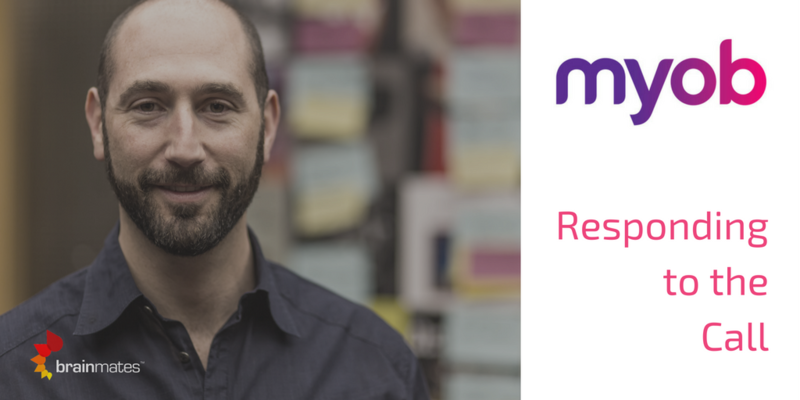 MYOB was a sponsor of Leading the Product in 2016 and Ben has taken a particular interest in the event since he manages a team of 40 Product Managers and UX/design superstars. Sean (Brainmates): Tell us Ben, why you joined MYOB in 2012? It was a disruptive time for MYOB, as Xero attacked your market share and were celebrated as an industry disruptor. Ben (MYOB) : True, it certainly was an interesting time. MYOB had enjoyed significant market share for some time and that dominance was under attack from an online competitor that was executing cleanly. I decided to join MYOB because the business was fundamentally about helping small to medium enterprises (SME) be successful. The impact of my product decisions would be significant across the broader economy. My time in the US for Intuit helped me see the power of a technology business at scale. So, I could see the potential of MYOB in the market. I was also attracted to the challenge of transforming a desktop business into an online business in the face of significant competition. It also helped that the values and culture of MYOB aligned to my own, with a focus on customers and innovation, so, it was a compelling option. Sean: Has the company changed much over the past four years? Ben: Substantially. Cloud popularity is changing the game and at an accelerated pace. It has forced us to change how we deliver value to the market. We have now embraced a true culture of agility and innovation across the company which was reflected in when MYOB was named the “Most Innovative Large Company” by BRW in 2015. We knew we had to reinvent ourselves if we were going to remain dominant in the region. It was something we were committed to. There were no sacred cows as we reviewed team structures, goals, competencies and investment profile. Moving from desktop to online prompts a re-evaluation of ALL aspects of the business – not just technology. The MYOB of today is more agile, more geared towards rapid innovation and we challenge each other. That is how we deliver better solutions for our customers. Sean: Innovation seems to be a recurring theme here. Ben: Innovation is a mantra at MYOB. It is one of our company values. To be more specific though, MYOB is about customer-led innovation. This means we are always looking for product managers who have a bent on social sciences like economics and anthropology. We study our customers much like anthropologist’s study humans – to really understand their problems and reactions to proposed solutions. My team is at the center of innovating around the customer which is really exciting. When I joined in 2012 we had nine Product Managers and 4 UX designers. Today, there are 40 Product Managers and UX Design professionals in the team. 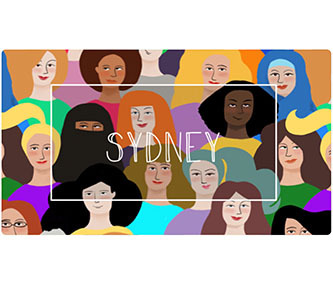 The company has made a substantial commitment to these roles, which enables us to deliver more value to customers than ever before in MYOB’s history. The change was not like a light switch though. Coming from a startup background, my natural reaction was to change the modus operandi to being more like a lean startup. It took me a year or so to get the rhythm. But, we got there and our advancements in experimentation helped our online offerings to come together and delight. Sean: Has that model served you well the whole time? Ben: It was great to deliver the cultural reboot the business needed to deliver online. However, there was a need to mature the model, and in some areas build processes to ensure consistency and allow us to scale. For example, my product management team members sought for clarity around career progression. As new junior members joined the team, it was unclear to them how they were going to advance in the business. Accordingly, I created a “MYOB Product Management Guidance” reference that clarified expectations and demonstrated what it takes to be a great Product Manager at MYOB. I initially based this document on some of the classic Product Management teachings of Ben Horowitz, author of Good Product Manager/Bad Product Manager. With this guidance document, everyone on the team now understands what is expected of them. It’s based on their position, the competencies to be mastered and what to master for career progression within the business. That last element is particularly interesting. Career development is challenging for many Product Managers because it is unclear what they need to do to progress. Typically, their employers don’t know either. It just kind of happens at most places. But at MYOB, we clearly articulate what competencies to invest in if a Product Manager is seeking career advancement. It offers clarity in a profession that is notoriously murky in scope across the world. MYOB is not only a great place to work, but it’s a fantastic place to be a Product Manager or UX designer. I am very proud of the team we have assembled. I come to work each day looking forward to working with them. Sean: I can see MYOB’s efforts to reinvent itself are beginning to pay dividends in more ways than one. Company performance is being well received on the stock market. Ben: Yes, last financial year finished very strongly for the business. We achieved a 10% year-on-year increase in revenue and a 22% year-on-year increase in net profit to AUD$86M. But, even cooler was recognition for our new innovations. In 2015 MYOB ranked 2nd in BRW’s ’50 Most Innovative Companies. We are very proud of that achievement and look forward to getting back on that list again soon. LIKE WHAT YOU HEAR? Follow MYOB online to get the latest news on innovations and open Product Management and UX Design positions. Sean: So, what are you looking forward to most at this year’s Leading the Product? Ben: Yeah, well it is always great to connect with the Product Management community here in Melbourne. I will bring along a handful of my team with me to the Melbourne event. The speakers are always great and the Brainmates team always put on a great drinks evening. Stay up to date with the Leading the Product Conference. 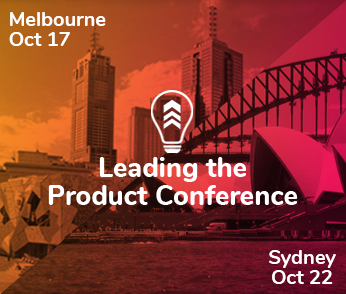 The Leading the Product conference is run by Brainmates in October to bring together product management professionals to share their experiences and engage in their community. You can read moreabout previous events and get tickets for the next conference by clicking here.